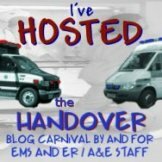 I, like some other bloggers in the EMS blogging community, have taken up an invite to be part of a new blogging network dedicated to EMS (ambulance services) and Fire Fighting. At its most basic level, this isnt going to change anything about this blog other than the address for it (which will soon become http://www.999medic.com), the way it looks (slightly) and most importantly a chance for you, my wonderful readers, to find other blog posts running along similar lines to mine very easily. Im excited about the changes, and I am hugely flattered by the company I am going to be keeping in this new network. I am currently tinkering with the new site, so I may not post as often as usual over the next couple of weeks (but hey, you guys know me better than that and I can already hear you all saying “Yeah Right! !”), but hopefully the wait will be worth it. Everything will be moving to the new site, all my old posts, and all the comments. I will let you know when you need to change the address for your feeds etc, and I sincerely hope you will come along and see my new home when its ready! « Blogs…..do they do more harm than good? All this time…you think you know a guy and he up and moves on you. Sorry, the last comment (Anonymous) was from me. Forgot that I was logged in under hubby’s name.